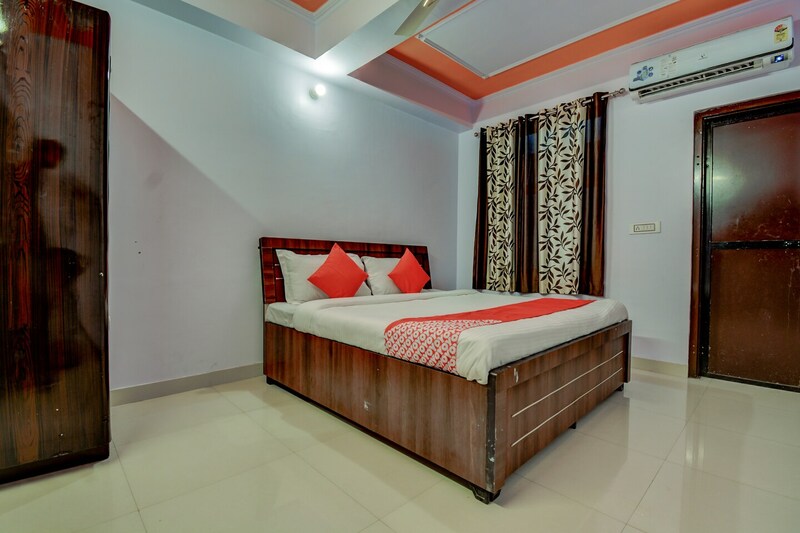 Hotel Royal Raj is an appreciable piece of property that tries to achieve full customer satisfaction through their attention to detail and a very cozy ambience. The rooms provided are very spacious and have large windows that allow a considerable amount of sunshine into the room. The color combination used in the room is neutral and the curtains provided have intricate patterns. The additional facilities provided at the hotel include free Wi-Fi, parking provisions, power backup source, and CCTV cameras. The in-house facilities comprise a restaurant, and a common kitchen. The front desk service is located close to the entrance and is manned by experienced staff who help the guests with their requests and requirements.